A Reading on Friday, July 16, 2010, 7:00 p.m.
Ken Weisner is the author of two books from Hummingbird Press, The Sacred Geometry of Pedestrians from 2002, and Anything on Earth, released in March of 2010. Originally from Oakland, Ken has lived in Santa Cruz since 1982. Ken edits Red Wheelbarrow through De Anza College where he teaches composition, literature, and creative writing. Weisner’s poetry has appeared in divergent media of late including the “Poets Against the War” website (2003); The Music Lovers Poetry Anthology (Persea, 2007); and more recently John Chandler and Wilma Marcus-Chandler’s “Willing Suspension Armchair Theater” production of Lost and Found: The Literature of Fathers and Sons (May, 2009). Among other things, Malena Watrous has worked as a coat check, kindergarten teacher’s assistant, and restaurant critic. She grew up in SF, but has lived in Eugene, Oregon, New York City, Iowa, and Japan, where she set her debut novel, If You Follow Me, which was published in 2010 by Harper Perennial, and won the Michener-Copernicus Award. She attended the University of Iowa Writers’ Workshop on a Truman Capote Fellowship and was the recipient of a Wallace Stegner Fellowship at Stanford University, followed by a Jones Lectureship. She now works for Stanford as a head instructor in the Online Writer’s Workshop. Her stories and essays have appeared in The Alaska Quarterly Review, The Believer, GlimmerTrain, The Massachussetts Review, Salon.com, StoryQuarterly, TriQuarterly, and elsewhere. She contributes regular book reviews to the San Francisco Chronicle and the New York Times. She lives in San Francisco, with her husband, Matt Schumaker, their son Max. She is currently at work on a new novel. For me, art has always been a lifelong passion. This became fully realized when I studied art at the University of Utah. I worked at several careers before understanding that anything I accomplished could not create the passion art held for me. I found plein air landscape painting to be the most difficult and interesting facet of painting. I have been mesmerized by the light playing on the scene, the subtle colors and particularly the patterns created by the change of seasons and time. All of these become critical parts of the painting. There is a never ending source of material in landscapes. Everywhere I look is a painting waiting to happen. Sally Ashton is editor-in-chief of the DMQ Review (disquieting muses quarterly). She is the author of two recent poetry releases, Her Name Is Juanita and Some Odd Afternoon, recipient of an Artist Fellowship from Arts Council Silicon Valley, and has been nominated three times for the Pushcart Prize. Ashton earned her MFA at Bennington. She teaches in local workshops and at San José State University. Lisen Stromberg is an award-winning writer whose work has been published in Salon Magazine, Mothering Magazine, the Utne Reader and others. She is currently enrolled in an MFA in writing at Mills College where she is the fiction editor for the 580 Split. Kelci Baughman McDowell is a graduate of USF’s MFA in Writing program and the managing editor of its online literary magazine Switchback. She is working on a poetry manuscript entitled 52 Sundays but mostly spends her time dreaming of the ideal accordion-fold book to build from scraps of fine Japanese paper. She’s also quite frequently rejected by various respected literary magazines. first collection of nonfiction stories, won the 2007 First Series Award in Creative Nonfiction. She lives in Pacifica, California. Azin Arefi was born in Iran and moved to the United States with her family. She studied English Literature at UC Berkeley and has a master’s degree from UC Davis in Creative Writing. Azin’s stories and poetry predominantly navigate the Persian culture, especially the culture of the past. Currently she teaches English Literature and Creative Writing at De Anza College and San Jose City College. Her publications include a short story in Let Me Tell You Where I’ve Been, an anthology of Iranian Women Writers, edited by Prof. Persis Karim and a story in The Momaya Annual Review, based in London. Melanie Reitzel is a maternity nurse specialist in lactation at Lucille Packard Children’s Hospital and is very close to finishing the MFA program at SFSU. She has a memoir coming out in the Spring 2010 issue of ZYZZYVA and “Gauloises” (which she will be reading tonight) has been accepted by the LA journal The Black Boot. Also, she’d like her son and daughter-in-law to know: She’s ready to be a grandmother. A Reading on Friday, January 29, 2009, 7:00 p.m.
Kenyon Review, and elsewhere. She lives in San Francisco. Alice LaPlante is an award-winning writer of both fiction and non-fiction. She teaches creative writing at Stanford University, where she was awarded a Wallace Stegner Fellowship and held a Jones Lectureship, and in the MFA program at San Francisco State University. Her fiction has been published in Epoch, Southwestern Review, and other literary journals and won a TransAtlantic Review prize. Alice is the author of five books, including the creative writing textbook Method and Madness (W.W. Norton 2009), which Booklist said “is destined to become a standard. ” Her novel, Turn of Mind, will be published by Grove Atlantic in 2010. A Reading on Friday, December 11, 2009, 7:00 p.m.
Lisa Harper is Adjunct Professor of Writing at the University of San Francisco. She received her A.B. in English/Creative Writing from Princeton University and her MA/PhD from University of California at Davis. Her academic writing has appeared in scholarly journals and anthologies, and more recently her writing has appeared online and in print in SNReview, Offsprung, Gastronomica, Lost, Switchback, and Literary Mama and in the anthologies Mama, PhD and the forthcoming Educating Tastes: Food, Drink and Connoisseur Culture. She has completed a book of narrative essays about becoming a mother, and is currently editing Learning to Eat, an anthology of original essays. She lives in the Bay Area with her husband, and their two children, Ella and Finn. You can find her online at LisaCatherineHarper.com & LearningToEatBook.com. Albert Flynn DeSilver is Marin County California’s very first poet laureate (2008-2010). 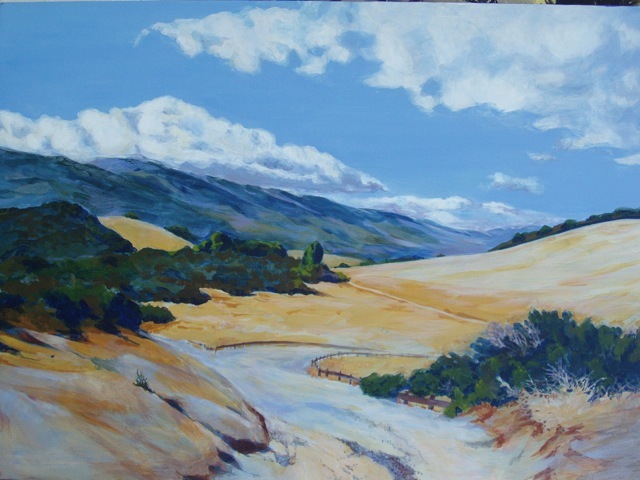 He is also a teacher, visual artist and publisher living in Woodacre, California. He received a BFA in photography from the University of Colorado, and an MFA in New Genres from the San Francisco Art Institute. He is the author of Letters to Early Street, Summer 2007 from La Alameda/University of New Mexico Press, and Walking Tooth & Cloud from French Connection Press in Paris, January 2007. He has published many poems in literary journals worldwide including Zyzzyva, New American Writing, Jubilat, Jacket (Australia), and Poetry Kanto (Japan). He is the editor and publisher of The Owl Press, publishing innovative poetry and poetic collaboration. He has taught poetry and writing workshops, including many years as a California Poet in the Schools in San Francisco and Marin County and is now the CEO/Director of Visiting Angels, a Senior Homecare agency in Santa Rosa, California. D. A. Powell is the author of Chronic, which was published this year by Graywolf Press. In addition, he has published three previous books of poetry, Tea, Lunch, and Cocktails, which was a finalist for the 2004 National Book Critics Circle Award in Poetry. He teaches in the English Department at the University of San Francisco and lives in the Bay Area. Catherine Brady is the author of three story collections, including Curled in the Bed of Love, winner of the Flannery O’Connor Award for Short Fiction, and The Mechanics of Falling, recently released by the University of Nevada Press. Her stories have appeared in numerous literary journals and anthologies, including Best American Short Stories. She is also the author of a biography, Elizabeth Blackburn and The Story of Telomeres: Deciphering the Ends of DNA, and a forthcoming book on the craft of writing fiction. She teaches in the MFA in Writing Program at the University of San Francisco. A Reading on Friday, July 17, 2009, 7:00 p.m.
Barbara Tomash was born in Washington DC and raised in Los Angeles. She worked extensively as a multimedia artist before her creative interests turned her toward writing. In 1998 she received her MFA in Poetry from San Francisco State University, where she now teaches. Her poetry has appeared widely in literary journals, including Colorado Review, New American Writing, and, zyzzyva. Her book Flying in Water won the Winnow First Poetry Award and has been reissued by Spuyten Duyvil Press. Tomash’s newest book, The Secret of White, was published earlier this year. She lives in Berkeley, California, with her husband and son. Charlotte Muse received both her MA and her MFA in Creative Writing from San Francisco State University, where she has taught Creative Writing and Poetry Writing. She also taught for some years as Instructor in Poetry for U.C. Berkeley Extension, for the Lifelines Project, and for many other organizations. Her chapbook, A Story Also Grows, was a Main Street Rag Editor’s Choice selection, published in 2009. A handmade fine letterpress edition is due out later this summer from the Chester Creek Press. She is also the author of The Comfort Teacher, a chapbook from The Heyeck Press, and co-author of Trio, a poetry collection with Toni Mirosevich and Edward Smallfield (Specter Press). She has won several prizes for poetry, including the Yeats Society of New York’s Poetry Award, an International Publication Award from the Atlanta Review, and prizes in the Joy Harjo Poetry Award competition, the Friends of Acadia Competition judged by Wesley McNair, and several others. Her poem, “In Which I Forgive the River” was one of three runners-up for this year’s Foley Prize, and will be published in the coming months. Monster- Poems (Noice Press, 2002). studies. Joel Tan received his M.F.A.